Welcome to my Tsunami Web page. 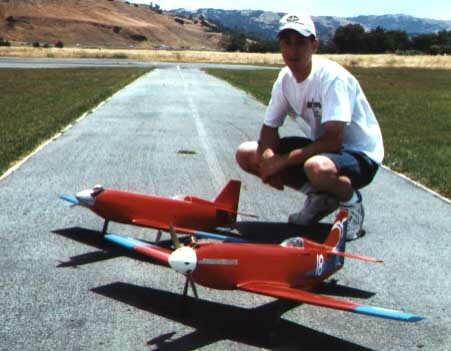 This page contains info on R/C aircraft modeled after the full scale Tsunami and a brief, but growing history on the full scale Tsunami. Please, be sure to fill out my Guestbook. Click on each image to view the larger image. 1-8-06 Update. I have not updated this site for some time and one day hope to bring it up to today's web standards. Please take note that the Full Scale Tsunami may be rebuilt in the near future. For more information, see Sharon Sandberg's site here: Tsunami Information. There are many photos of Tsunami and John Sandberg's endeavors available on the site. 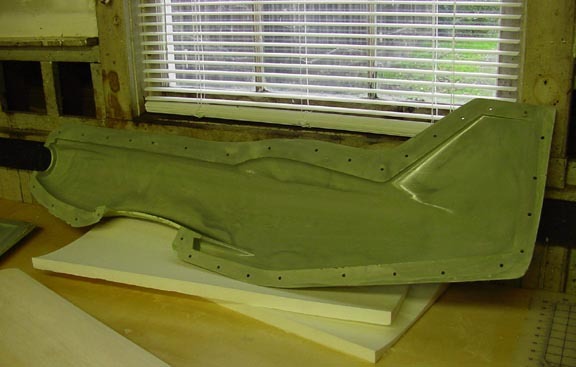 As a follower of the full scale Tsunami aircraft, I had always wanted to build a model of Tsunami, but no kits or plans were available.. In 1993, two years after the crash of Tsunami, I decided to build a model of the magnificent unlimited racer. 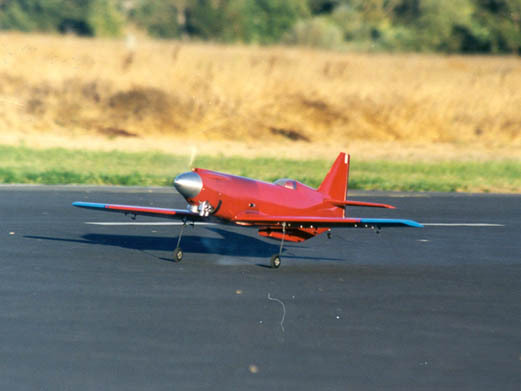 My personal Tsunamis and the plans I drew for them were based on the most recent version of Tsunami that appeared in 1991 in a brilliant, red color scheme with a tidalwave on the tail.The first prototype equipped with an Enya 45 CX was test flown on February 27th, 1994. 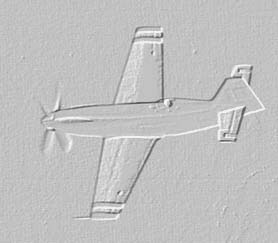 The aircraft flew surprisingly well to many fellow modelers who said that it would be too squirrely to fly. 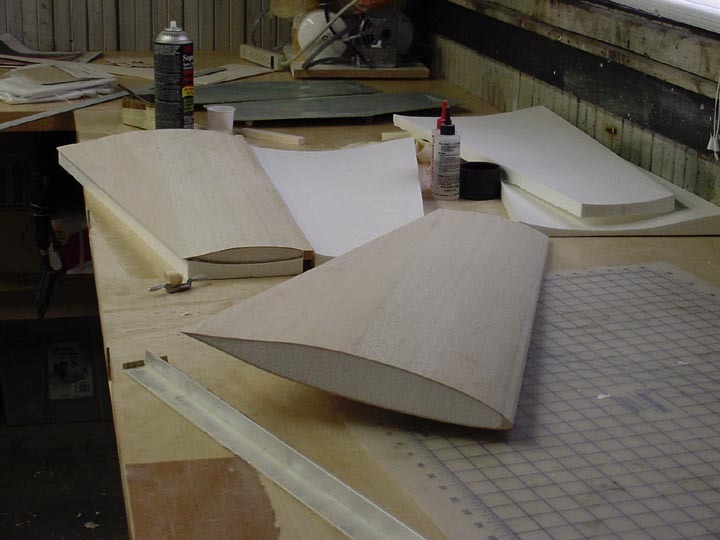 Using the actual scale airfoil, the wing was 1 inch thick at the root with 381 square inches of area. The wingloading was approximately 31 oz/per sq. 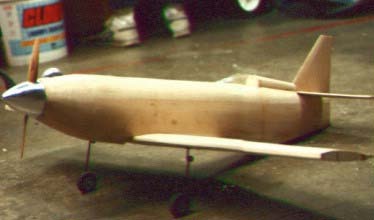 ft. With about 15 flights logged, a handbuilt K&B 7.5 rear intake, rear exhaust motor was placed in the airframe. Flight speeds were recorded at 144 mph on radar on a humid summer day. 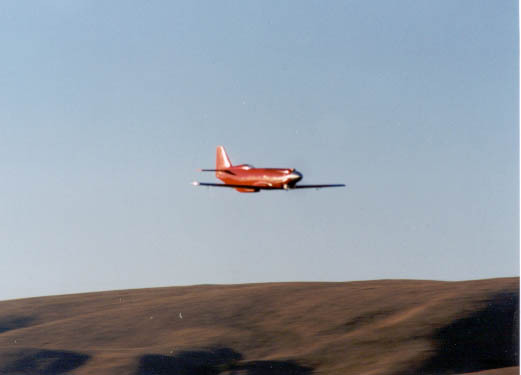 The aircraft logged 46 flights over a span of one and a half years and was retired on 8/19/95 with approximately 270 logged minutes of flight. More photos of molds, etc to come. Wingspan: 42" - Length: 42"
Shown above in uncovered form.In this picture it is shown out at the field. 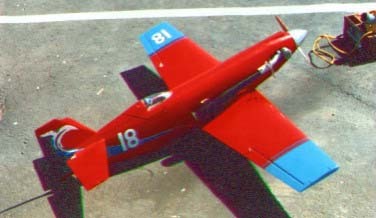 It is powered by a Dubb Jett 40 quickee motor. Recorded radar speeds are in th 150's. The first Tsunami built by myself. First powered by an Enya 45 cx, then a RE RI K&B 7.5 motor for racing, and now again has the 45 cx back in it for sport flying and flight experiments. Here is "prototype #3" built by Jim Enfantino. It is powered by a "Shadelized" Rossi and weighs 4.5 lbs with retracts. Here is myself pictured with my own two personal Tsunamis. In the front is the 4 year old prototype and in the back is my most recent, five percent smaller Tsunami.